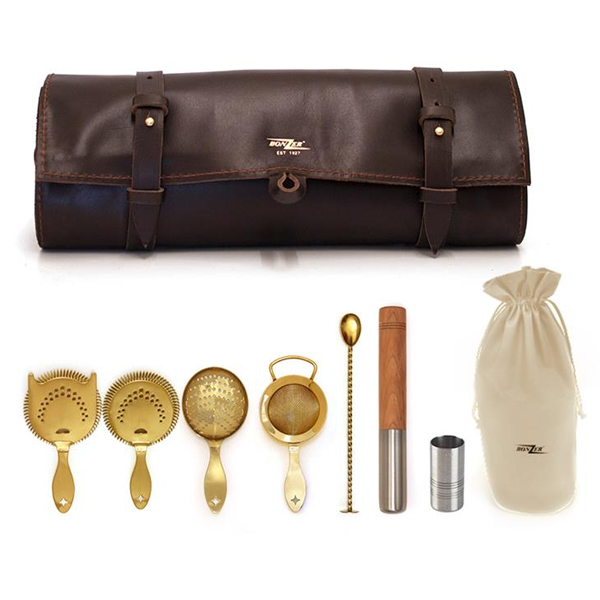 With premium stainless steel plated with gold, the Bonzer Heritage Barware Leather Roll Bag is the perfect complete cocktail kit bag for professional bartenders. Featuring 1 x Heritage Hawthorne Strainer, 1 x Sprung Heritage Julep Strainer, 1 x Heritage Julep Strainer, 1 x Heritage Fine Strainer, 1 x Stainless Steel Half Half Wooden Muddler, 1 x 25/50ml Jigger Measure and 1 x Bar Spoon all complete with the Bonzer seal of quality. 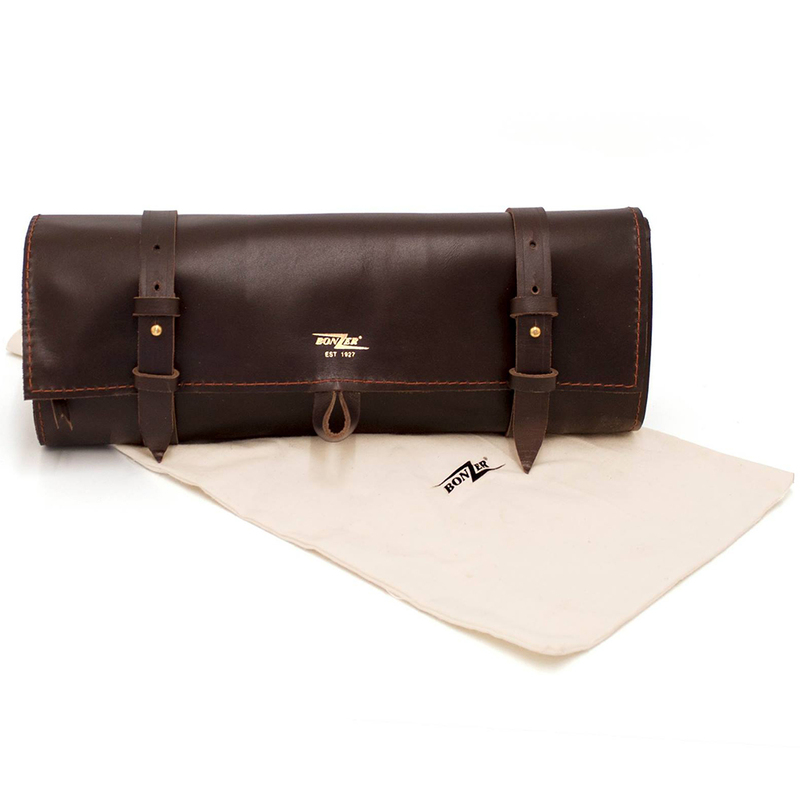 These premium bar tools are neatly stored in a hand-crafted Leather Roll Bag. 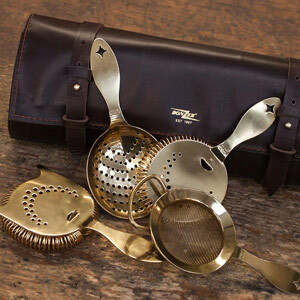 Perfect for bartending on the go, this barware kit provides all you need to make professional standard cocktails. With a set of 4 cocktail strainers, each one has a specific feature required to make certain types of drinks.